How big is the split here? So how big of a split do we have between Dodgers and Cardinals fans on this board? I'm betting pretty good split since the Rams moving discussions are so heated. Re: How big is the split here? Cards were always that other team I liked rooting for. It looks like the Dodgers and Cards will be competing for a while though with the way things look. Myself I've gotten away from basketball, don't think I've watched a game in probably 10 years. It looks like the Dodgers and Cards will be competing for a while though with the way things look. Hmm........what's that.........oh, I'm sorry; I wasn't paying attention. I was distracted by all these National League pennants and World Series trophies from the past 10 years. Maybe one day the Dodgers will beat the Cardinals and win a pennant. Then there will be a competition. Hey, maybe the Dodgers will go spend 4 times as much in payroll as the Cardinals instead of just twice as much. Maybe then they will beat the Cardinals. So the "can of worms" has officially been opened. Excellent question. Hmm, I'm not sure. I feel like I wouldn't. But then again, I wouldn't give up the Rams winning the SB next year for 3 years of Cardinals in the playoffs either. Dodgers fan from childhood in the fifthties, but not watched or listened to a game for a decade at least. I used to pitch a whole game against the cement wall in my back yard and played 6 years of uniformed baseball when I was young. Baseball was probably my favorite sport for a few years, now not so much. Oh yeah Vinny Scully is still the best ever baseball announcer I know of cept maybe Dizzy Dean maybe! ...this may be some of the best starting pitchers the Redbirds have had in...well maybe ever. There are 14 teams in MLB that have a 12+ win pitcher. One team has two 12+ win pitchers (White Sox). The Cards have no less than 4! Cardinals in the World Series! Don't know how many Cardinals fans we have here, but I'm sure there are some lurking about. Way to go Cardinals! Time to extend that "curse" in Boston. I say "new" because it's not that new. Current is on top, new is on bottom. Due to the recent re-alignment, the St. Louis Rams 2001 NFC Champions, 1999 Super Bowl Champs are placed in the same division with the Arizona Cardinals. I don't think I need to remind everyone that these are the same Cardinals owned by the lying, stinking, coniving, greedy, moronic, Bill Bidwell. 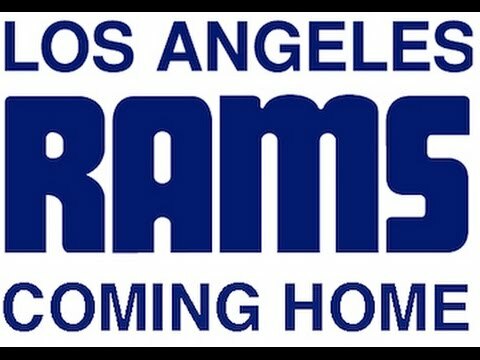 If the Rams do anything in the 2003 season, they MUST humiliate Arizona at every given opportunity! This must be our imperitive!